Gotlandsdricka is a traditional ale that was brewed almost exclusively on the island of Gotland which lies off the coast of Sweden. The recipe included smoked barely malt extract and the boughs or berries of juniper (Juniperus spp.) trees which proliferated on the island. Juniper species are found throughout the north and south temperate world and also on any existing mountains in tropical regions. 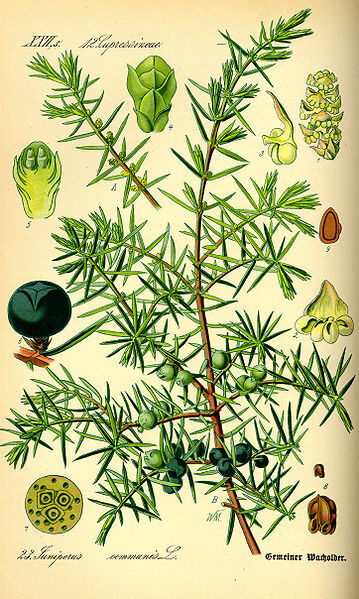 The common juniper, Juniperus communis, was the preferred species used in brewing Gotlandsdricka likely because it was abundant in the north temperate region of northeastern Europe where this recipe and many similar ones began being practiced. For all intents and purposes, the majority if not all Juniperus species can be used to produce beer because, at least for me, they all tend to have a similar scents, flavor and medicinal properties. Juniper boughs and particularly the berries impart a citrus-like resiny flavour to the beer, as well as supplying plenty of tannins to bitter it. The plant also possesses strong anti-bacterial and anti-septic properties, and has long been used to help fight respiratory infections and cleanse the urinary tract. Ironically, the common juniper is anything but common where I live in southern Onatrio. The species tolerates colder conditions further north with less biological diversity and therefore less of an opportunity for other species to occupy its preferred habitat. Instead, the pencil-cedar or eastern red-cedar, Juniperus virginiana, (despite being called ‘cedar’ it is in fact a true juniper) is quite locally abundant in open fields, fencerows and meadows. This species grows to a larger stature than the often squat J. communis, which provides more foliage to harvest with a decreased risk of over-harvesting and weakening the plant. I have however, included a small amount of J. communis berries in order to supplement the authenticity of this recipe. I would definitely like to revisit this recipe by using fresh smoked malt and not malt extract which I have been using entirely up to this point. I did happen upon some darker malt than usual, so I’m going to interpret that as I was supposed to make this recipe now. So it isn’t entirely traditional, but the juniper is in there and that’s pretty much the point from what I understand. 1. 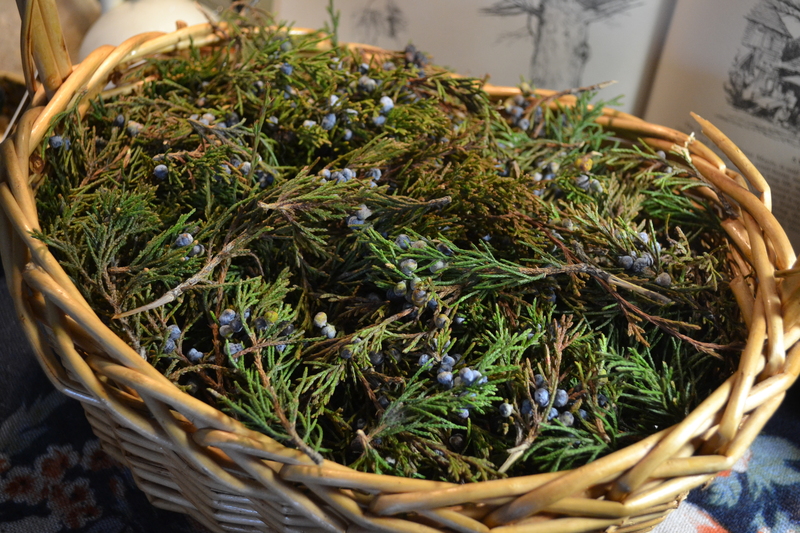 Boil juniper boughs, berries and malt extract for 60 minutes. 3. Pour into fermenter (including juniper boughs / berries) and add yeast. 4. Strain and bottle when fermentation is complete. 5. Age one month before consuming.